I hated both of my arm tattoos. I tried several home solutions to remove them before doing laser. I'm sharing my experience and my results. Call me crazy, but I'll do just about anything when I'm desperate enough. Recently, I had a new tattoo done that didn't quite turn out as expected. I wanted a nice, flowy, feminine, light tree on my upper right arm. Mostly because there were scars there that I did NOT want to look at any longer! Long, white raised scars that I've had since I was a teenager, but that's a whole other story I do not wish to go into! I love trees, and figured putting a nice tree there to hide/cover the scars would be a great idea. But, I ended up with a massive, dark, threatening tree that was 10 times bigger than I wanted. It didn't have the shape or look to it that I wanted; it was a lot bolder than I wanted, and well, I just wasn't happy with it. The tattoo guy knows how to do amazing trees and he did a fantastic job, it just wasn't what I wanted. Like I said it was way bigger than I wanted it and we ran into a problem: I had an old barbed wire tattoo going all the way around my arm, and right in the middle of the tree he was doing. He decided to cover over part of it. This is when I started to panic. I knew for sure I'd be unhappy because the tree would be new and fresh and sparkling, but under it, and through the middle, would be a faded ugly old barbed wire tattoo, which would also come out both sides of the tree and all around the rest of my arm. I went home, looked at my arm, and have been in shock ever since. My arm just looks like it exploded. There is WAY too much going on, yes he covered the scars which I'm SO thankful for, but I wanted my simple, flowy, feminine tree, and I didn't even come close to getting it. Then we have the ugly faded barbed wire coming out from each side of the tree. Not to mention the darker areas in the middle of the tree since he had to cover the barbed wire. That area looks like a mess, BUT the tree is nice everywhere else..again though, not for me.. So I have this really cool tree on my arm that was done really well, nice shading, but nothing like how I wanted the tree to look. There's too much going on for my liking, and there's still old scars showing. 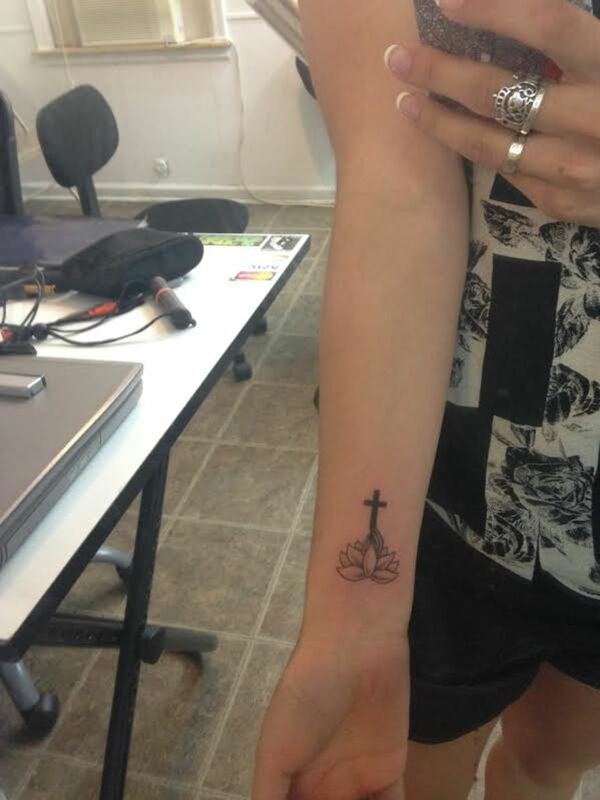 I wanted something simple because I knew this would happen if the tattoo turned out too bold or too 'much'. I'd lose it! And I guess I did.. I had to cover all my options, and being a single stay at home mom of 2 with no job doesn't make getting laser surgery easy. Plus I'd risk the possibility of more scars doing laser. I didn't have any intentions of removing the tree right away, but just fading it. I wanted to remove the barbed wire most of all. I figured, if that was gone the arm wouldn't look so "busy". I do plan on seeing my tattoo guy again and seeing if there is anything he can do, but only after my little experiments are done. If I see him now he'd just cover up the entire rest of my arm with something to cover the barbed wire with and I just don't want that. All I know is anything performed in a doctors office will cost WAY more than what I can afford, and I may be able to find my own methods here at home, for a lot cheaper. I am going to try a lot of the home remedies found on the Internet to fade, or remove completely, my barbed wire. I couldn't stop looking in the mirror, I obsessed about this arm of mine every second of the day. I didn't want to show anyone the new tat. I wanted to hide my arm completely. This isn't my first tattoo, it's my umm 15th maybe :) So getting a tattoo is nothing new to me. All I know is that if I'm comfortable with it there will be no obsessing, no constant looking in the mirror, no constant thoughts of "omg!! HOW DO I FIX THIS". If i am comfortable with a tattoo it's smooth sailing and I'll barely even think of it.. but in this case it's ALL I think about. And my entire thought patterns for a week have been "I need to fix this and I'll do anything I can to do so". I need to like this tree. And I am almost sure I can like it if I can make changes. 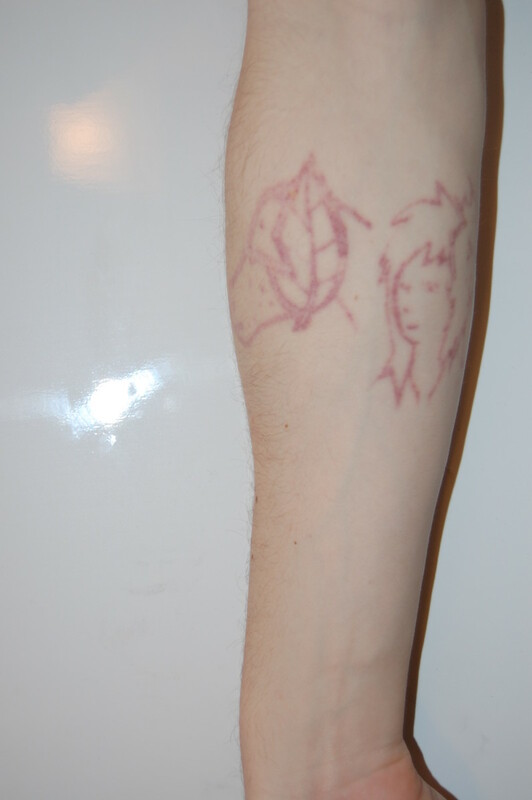 I need to clean up the rest of my arm, and fade the tree as much as I can so it's not so bold. I am thinking of adding color to maybe lighten it up or add more femininity to it but my main problem is the shape of the tree. 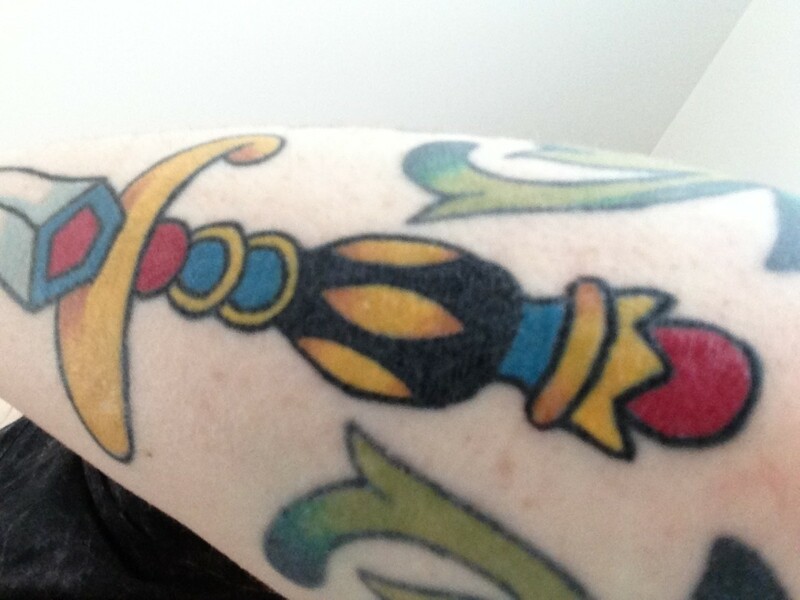 And I'm not sure what my tat guy will be able to do with that, unless I can really fade it a lot. So, fading is my main goal on both tattoos. 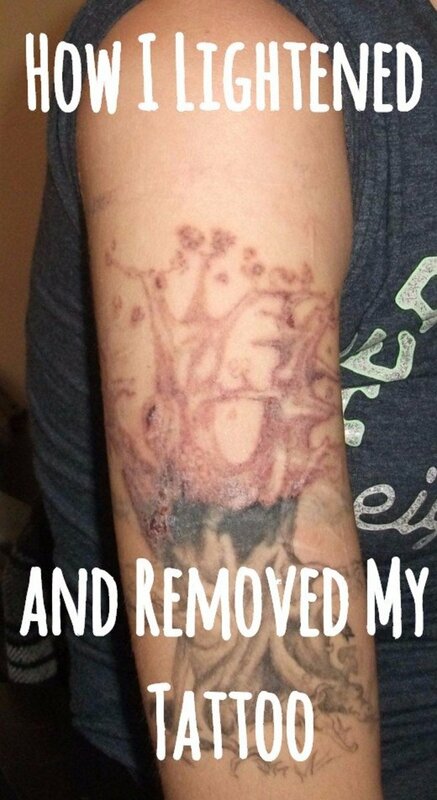 Please see Part 2 to my at home remedies for attempting to remove my barbed wire tat, and for fading the tree. I will put up with pain, but in small doses, plus this is the first time I've ever attempted to fade/remove one of my own tattoos and do not want to injure myself to the extent that I need to rush to the ER! Scars are a big issue, this whole process started because I wanted to cover old scars, I do not want to make new, highly visible scars. This could be a lengthy process that I might not even continue with, I may just rush back to my tattoo guy to have him figure something else out. But I would like to try most of my options before I spend a lot more money on more tattoo cover ups that I might regret as well. You will have to keep an eye on my hubs and check back every few weeks to see the progress. 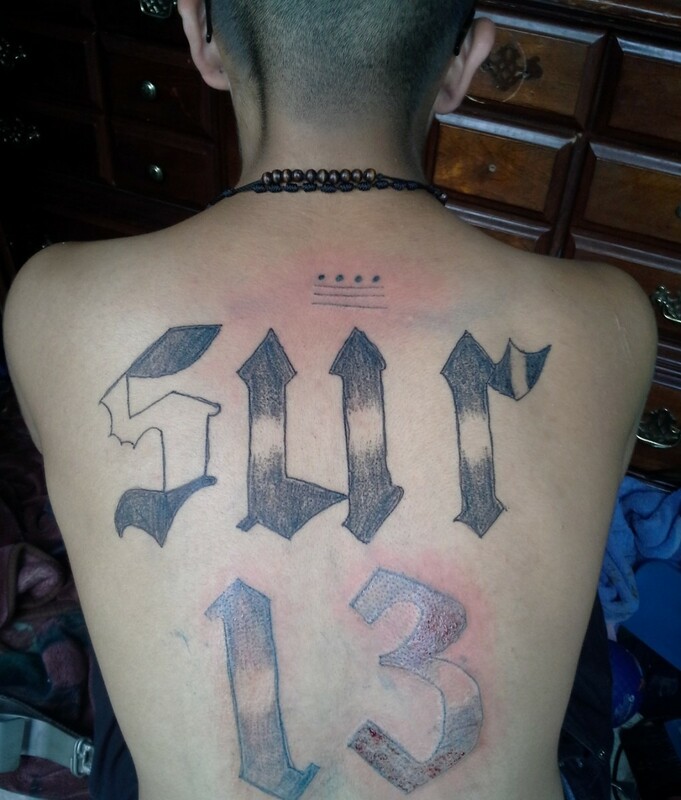 What to Do With a Bad Tattoo: Cover It? Remove It? Why Not Reinvent It? 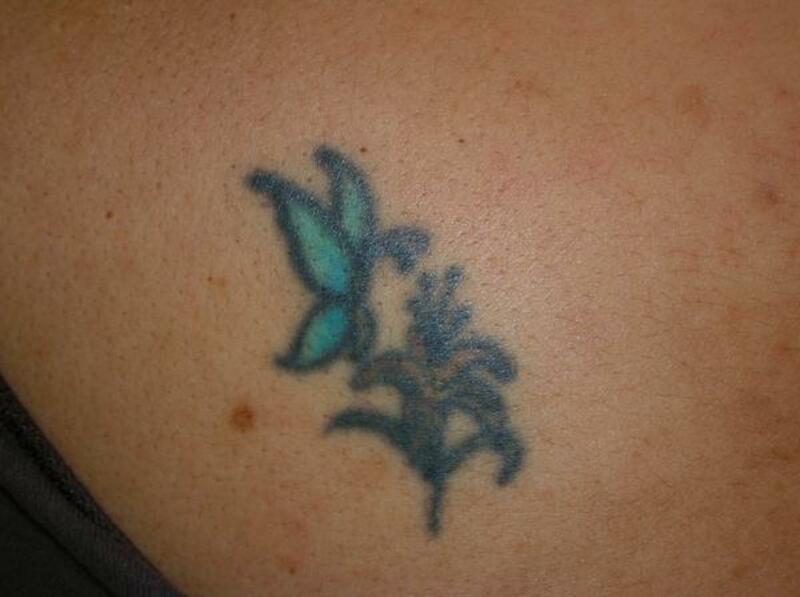 Tattoo Removal Creams: Do They Really Work?